Certified genealogists are professional genealogists who are professionally trained and certified by outside authoritative organization who helps individuals to trace family lines and descents. Always consider hiring professional genealogists when considering any genealogy research. They will save you time, money, and data accuracy. Record Click’s professional genealogists are accredited certified genealogists who are approved by the Board of Certification of Genealogists. Certification in United States is available through Board for Certification of Genealogists, which is based in Washington, D.C. Accreditation is available through International Commission for the Accreditation of Genealogists. Using certified genealogists means you will be dealing with someone who has years of experience. The experience will mean a faster outcome as they will know how to go about the process in the quickest and most efficient manner. If you are planning on looking into your family tree, then a genealogist is the person to look for. However, you should decide whether you will get a professional or an amateur. 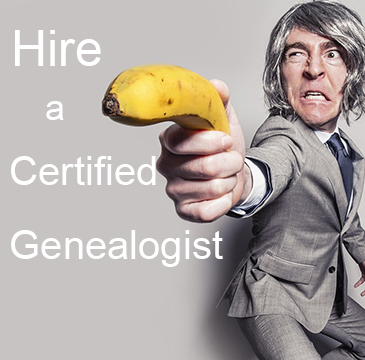 The best person to work for you would be a certified genealogist. There are several advantages associated with hiring a certified genealogist vs hiring a non-certified genealogist.